When Winter finally rears its ugly head... he'll be ready. That wet, icy snow may threaten to ruin his day of activity, like waiting for the bus or playing outside, but little does the snow know that your child has just found a new ally in the war against winter. Utilizing the iconic styling of DC's greatest detective, Batman, here is a coat so fiercely defensive, even the frosty powers of Mr. Freeze are rendered completely useless against it. 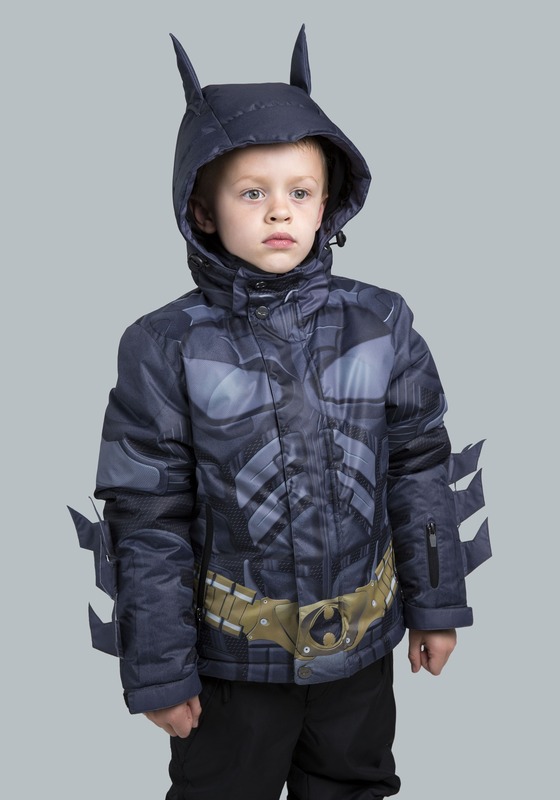 This exclusive Dark Knight snow jacket for kids has design features that make it truly feel like it came straight from the legendary Bat Cave. 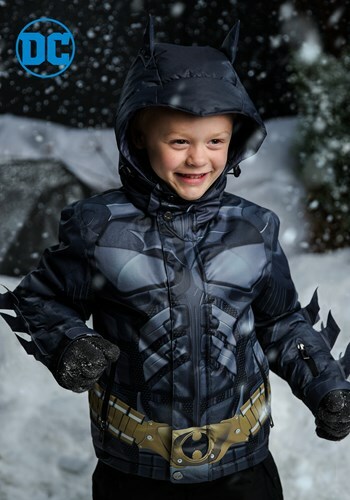 The exterior has printed armor and muscles to help your child jump straight into the role of super hero while he tackles the snowbanks with the confidence of Batman himself. An inner snow skirt helps keep your child comfortable and dry, even during heroic sledding adventures or in a sudden sleet storm encountered on the way home from school. 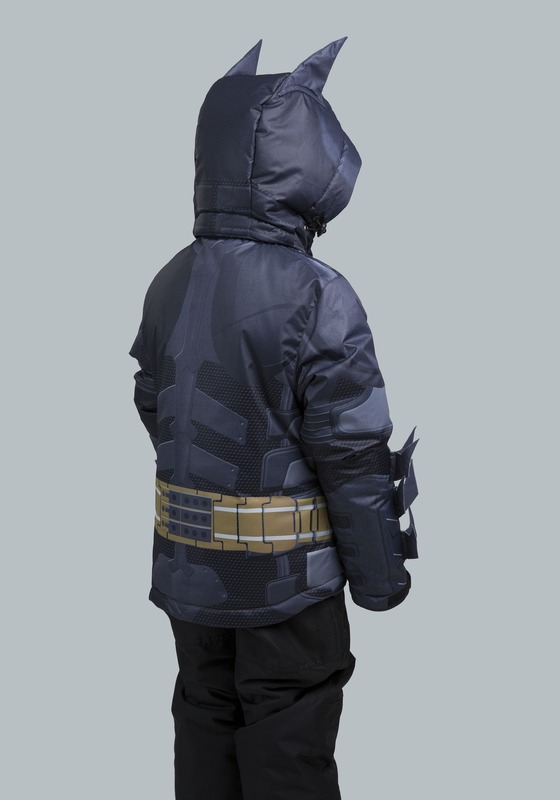 The pockets are waterproofed, just in case he wants to bring a few crime fighting gadgets with him during his outing, and the hood is shaped like Batman's cowl, allowing him to look and feel just like the Dark Knight. Sure, Mr. 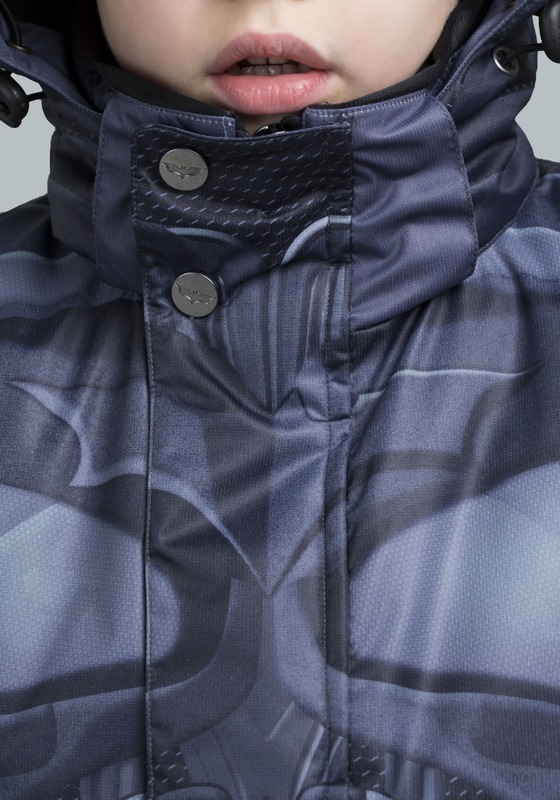 Freeze can attempt to ice over Gotham City, but with gear like our exclusive Dark Knight ski coat, his plans are sure to thaw. Custom Batman symbol zipper pull. Custom Batman symbol debossed buttons. 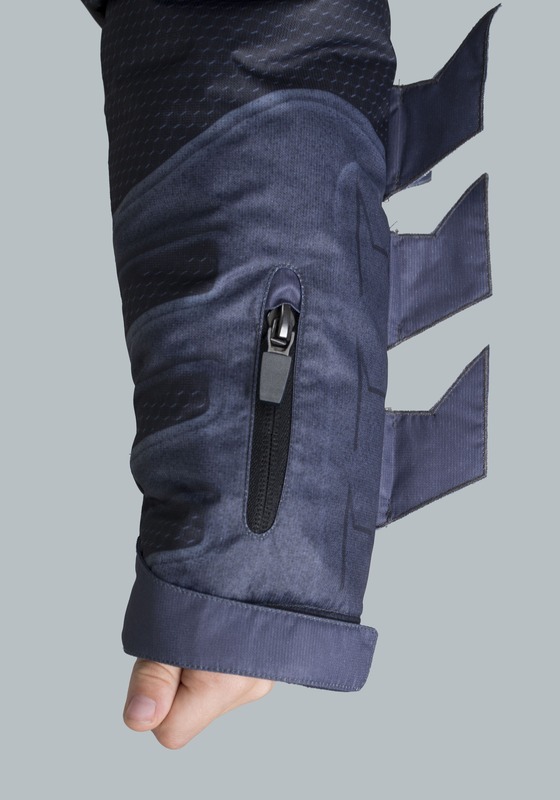 Zip-down closure pockets have weatherproof seal. BATMAN BEGINS, THE DARK KNIGHT, THE DARK KNIGHT RISES and all related characters and elements are trademarks of and © DC Comics. WB SHIELD: ™ & © WBEI. When it first arrived, I was nervous that it wouldn’t be warm enough since it feels rather thin compared to a puffer coat. Despite the label saying it needs to be dry cleaned, I washed it in the machine in delicate and dryed it on low and it came out great! He gets lots of complements on it!